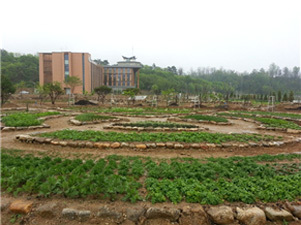 Forest Medicinal Resources Research Center (FMRRC), located in Poongi-eup, Yeongju-si, Gyeongsangbuk-do, is the national research institute specialized in medicinal resources in forest sector. 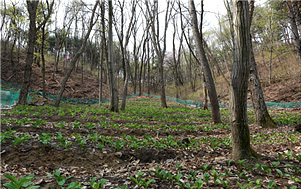 It is charge of work on breeding and conservation of new varieties of forest medicinal resources, developing techniques and technologies of cultivation and post-harvest management, and conducting analysis on pharmacological activation of natural raw materials and its commercial utilization ways. 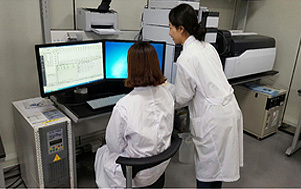 To achieve these tasks, it conducts research on development of technologies for in situ and ex situ conservation through collection of forest medicinal resources and investigation on their gene ecology, on development of high quality cultivation technologies and breeding of high functioning new forest medicinal plant varieties, and on development of technologies for value-added resource utilization by establishing the maps and the library of pharmacological activation and medicinal extracts of forest medicinal resources.